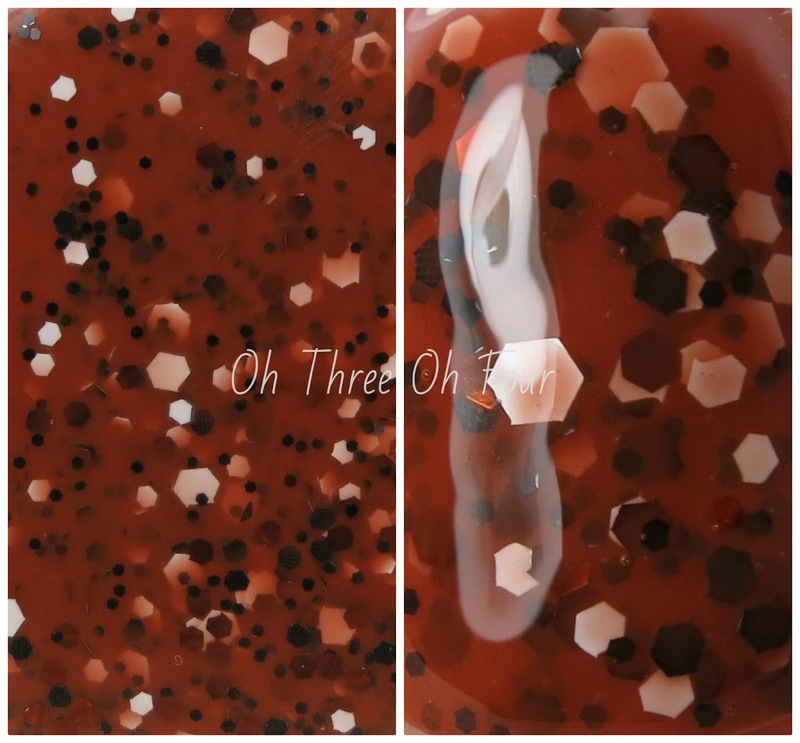 Miracle Gross has reddish-brown base with white and black matte glitter and brown glitter in various sizes. I used 2 coats with a top coat of HK Girl Top Coat. Paint Chips has a light blue base with various sizes and shapes of smokey gray and light blue glitter and holographic shards. All nails are 3 coats with a top coat of Seche Vite. 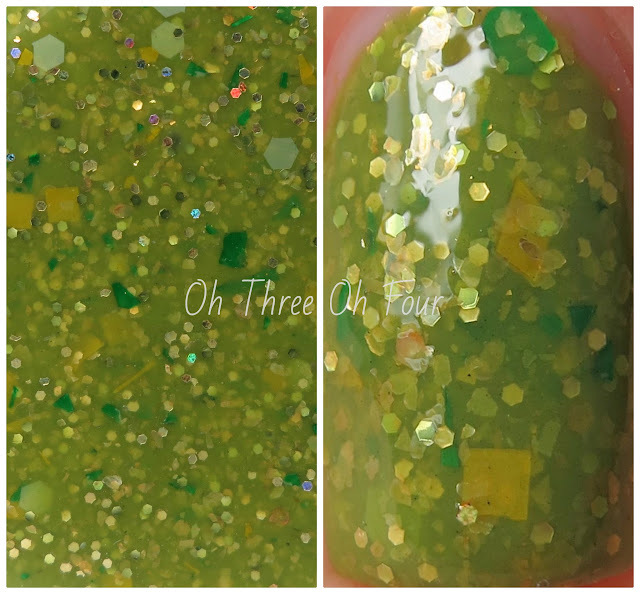 Soggy Sod is a light grass green colored polish with smaller holographic hexes, yellow satin squares, medium sized white hexes and green and yellow shards. I used 2 coats with a top coat of Seche Vite. Silly Bee's Chickadees part of this collaboration will be available on her Etsy store here and Sonoma Nail Art's will be on her Etsy store here. All polishes will be released on Friday, March 8th at 12 PM PST. You can check out photos of Sonoma Nail Art's polishes from this line on Facebook here. You can follow Silly Bee's Chickadees on Facebook here and Sonoma Nail Art here, to find out other stock dates and fun things like giveaway running! Currently there is a giveaway running to win the entire line from both Silly Bee's and Sonoma here, so make sure to go enter! Products were provided for review, all opinions are my own.